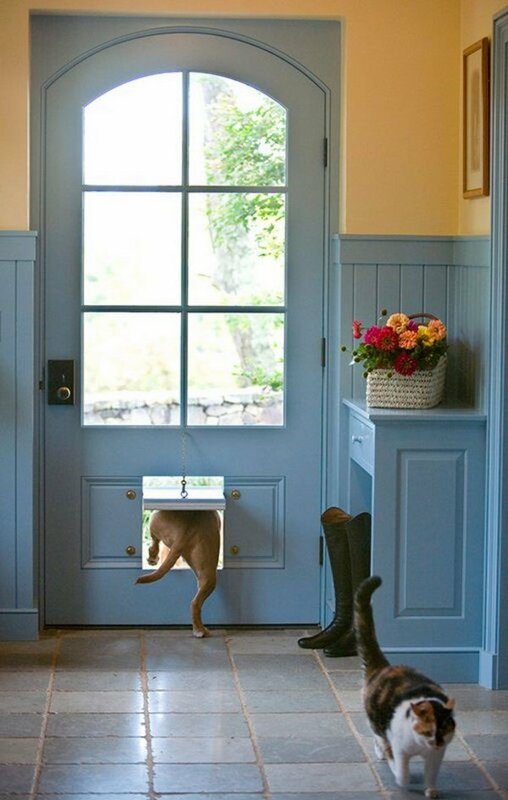 Dog doors do give freedom and independence to your pet. 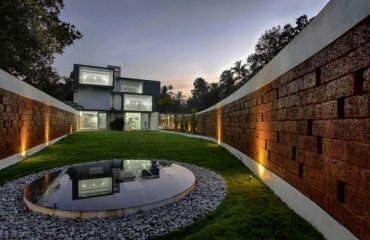 Many owners of private homes have pets. 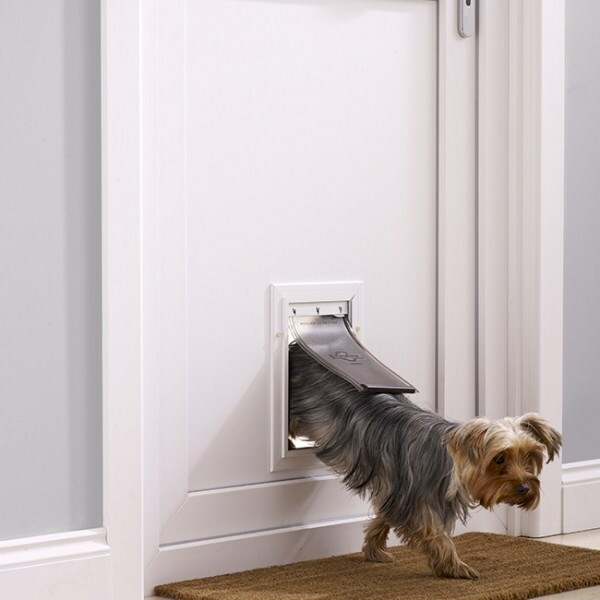 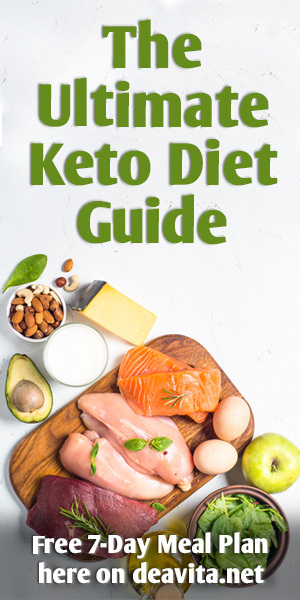 Walking of animals sometimes becomes a significant problem and an excellent way out of this situation is installing a dog door which will allow your pet walk in and out freely. 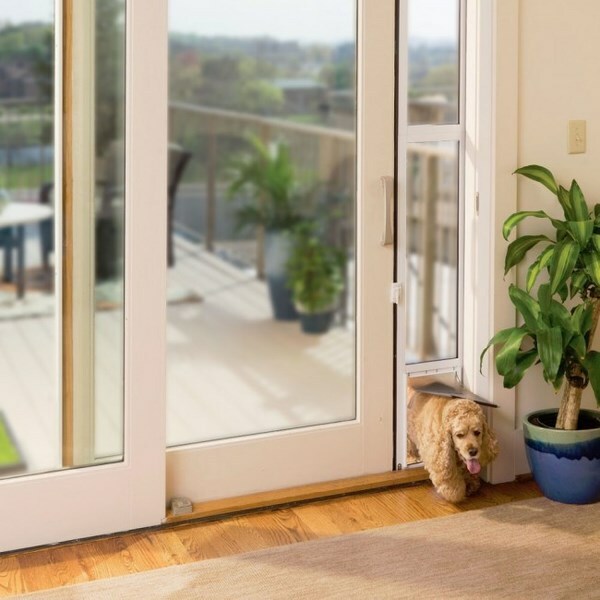 Modern dog doors come in a variety of designs, sizes and options and every dog owner can find the right door which is suitable for the particular breed and can be easily installed on an existing front or patio door. 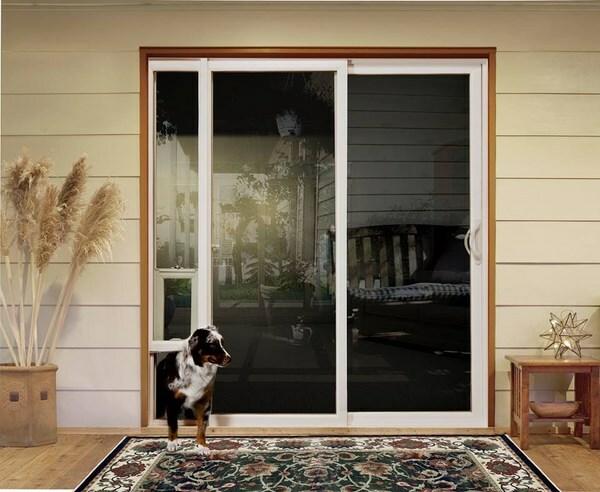 Sliding door dog doors are also called patio panel pet doors or may come under another name but the principle of operation is the same – those are panels installed in the track of the sliding door. 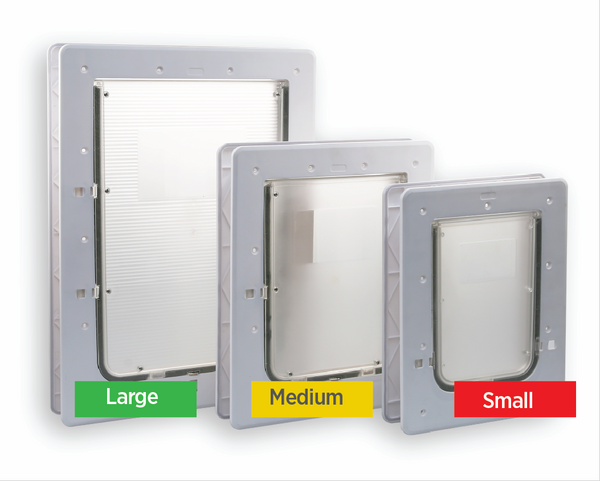 Typically these panels have a pressure system which ensures that the panel will remain fixed and cannot be removed from the track and a are also equipped with a locking system as they cannot use the existing lock of the sliding doors unless specially custom-made. 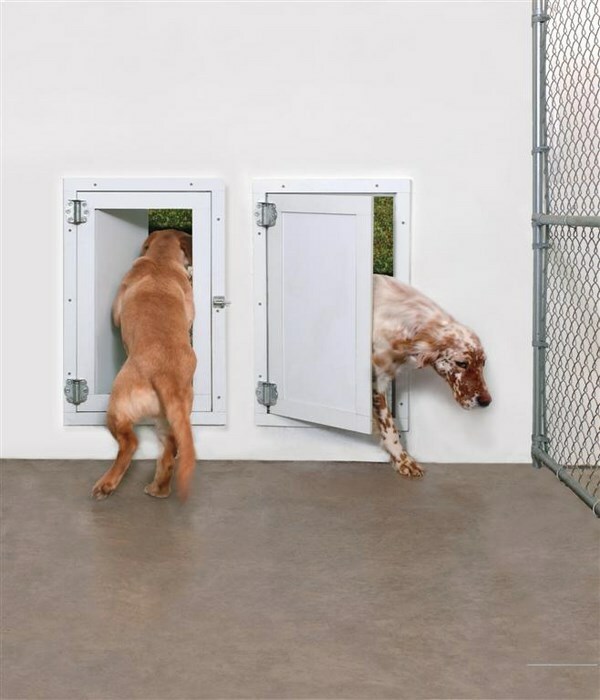 Dog doors requirements – what is important to know before buying? 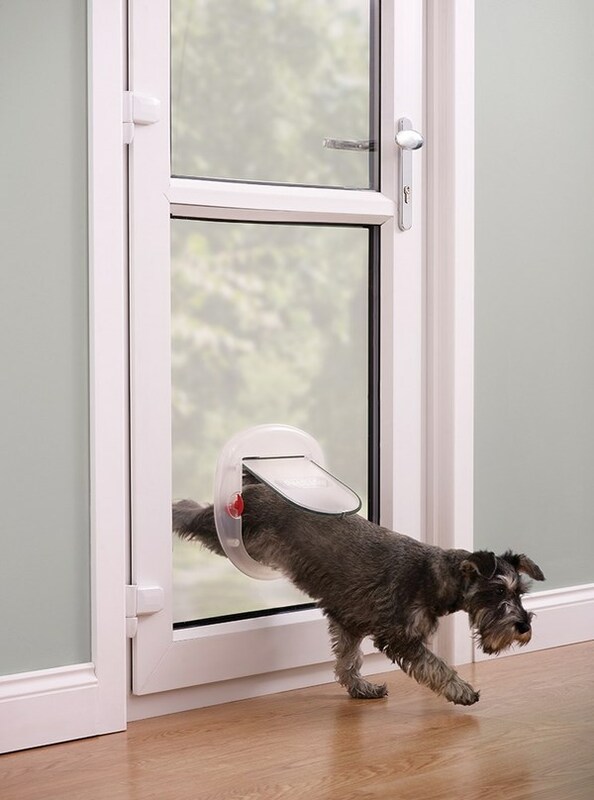 The wide range of dog doors on the market can be misleading and that is why every dog owner needs to determine the personal needs of his pet in terms of size, model and see which one of the many dog doors would suit his dog best. 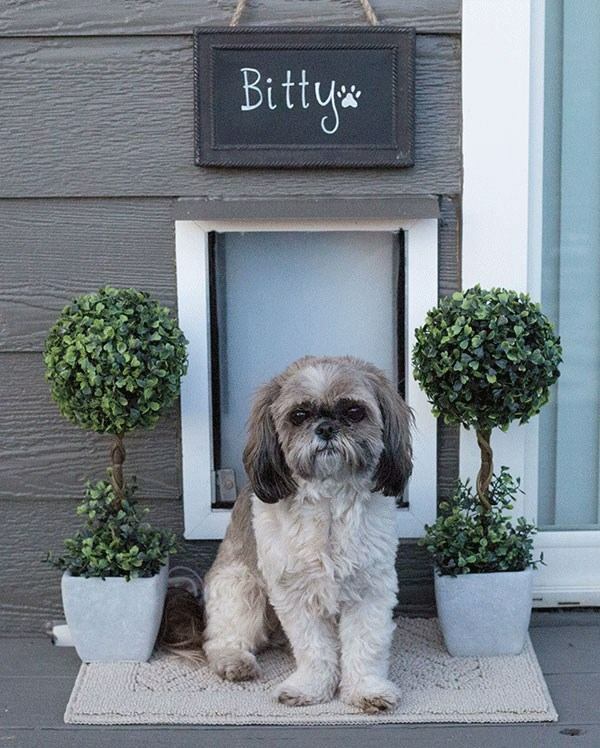 Almost any pet shop offers a variety of dog doors but you can opt for a custom model or even a DIY project. 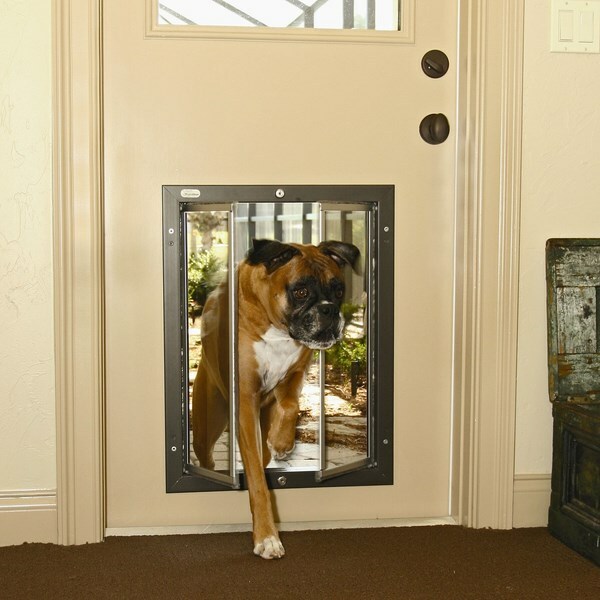 One of the most important questions is how to determine the right size of the dog door? 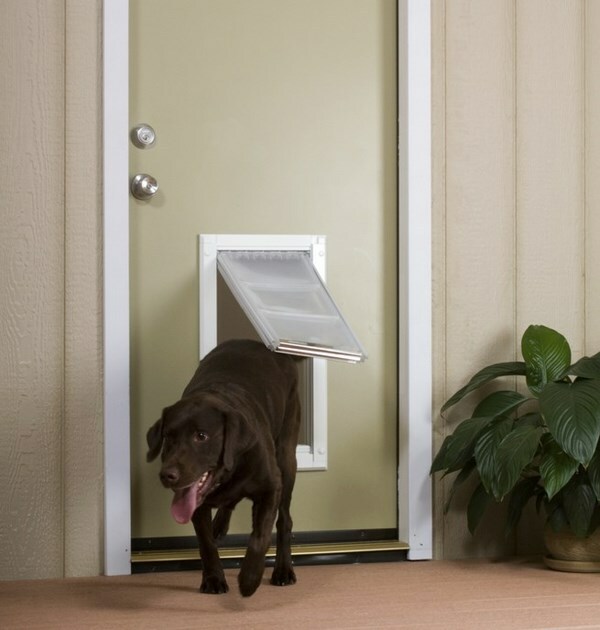 One of the easiest ways to determine the size of the dog door is to cut a hole in a piece of cardboard and see whether your pet can pass through the hole easily. 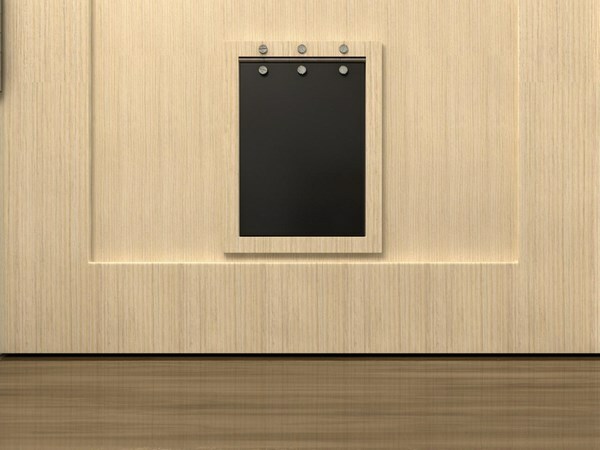 How to choose the type of the pet door? 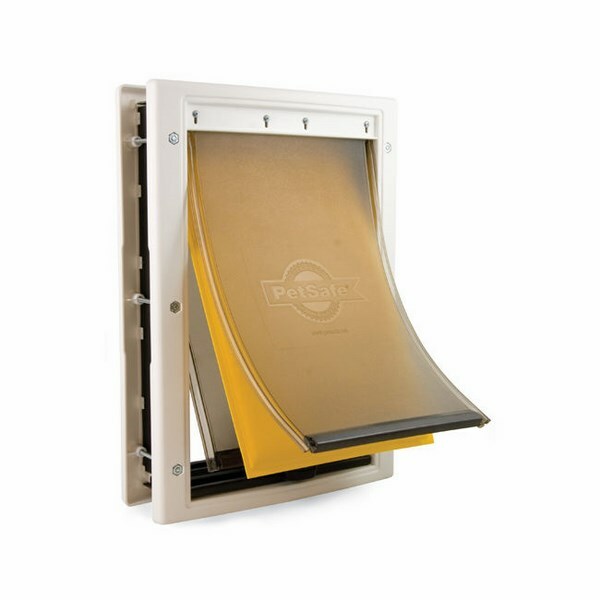 They come in a variety of types – flap, swing, sliding and even electronic doors. 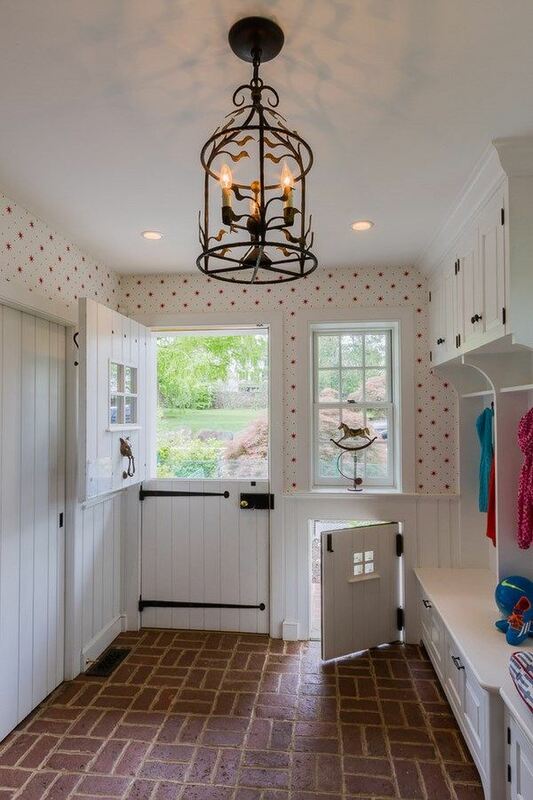 In general, pet doors are built to withstand different locations and can be mounted on wood, steel, glass doors, French doors, sliding doors, etc. 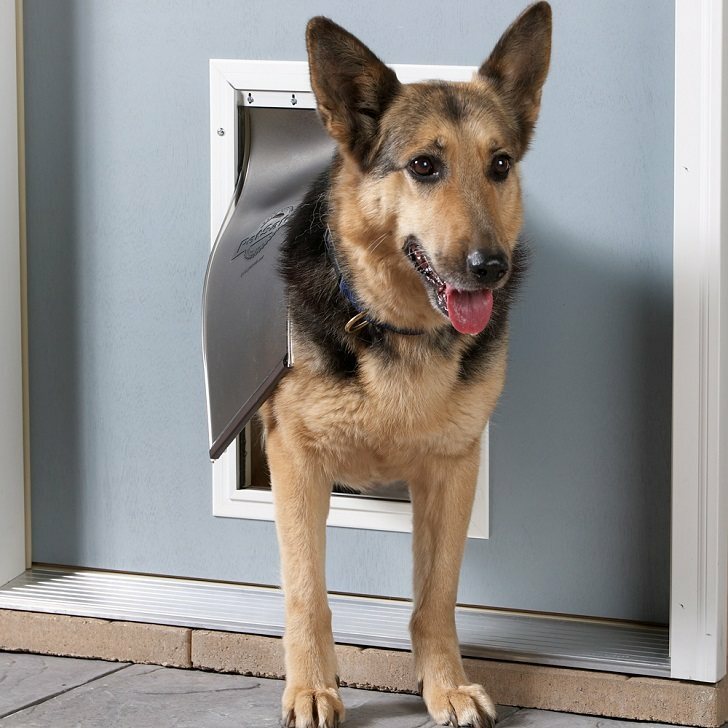 A flap dog door is the most common type and the most affordable option but the major disadvantage is that the owner cannot control the coming and going of the dog. 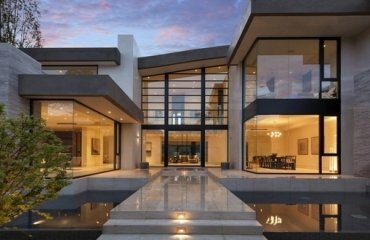 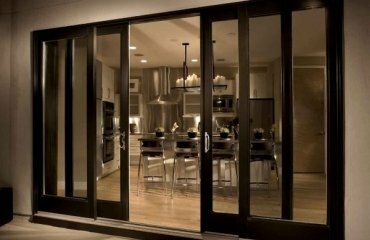 Many people prefer the sliding doors (or pet doors with sliding panels) as they can be locked and in addition, these doors have better energy efficiency and keep the warm or cold in. 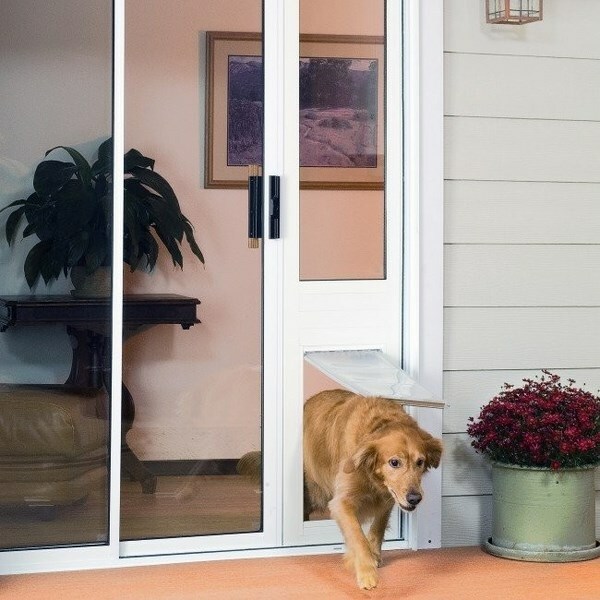 Another popular option is a modular dog door as this type of door comes with openings in different sizes. 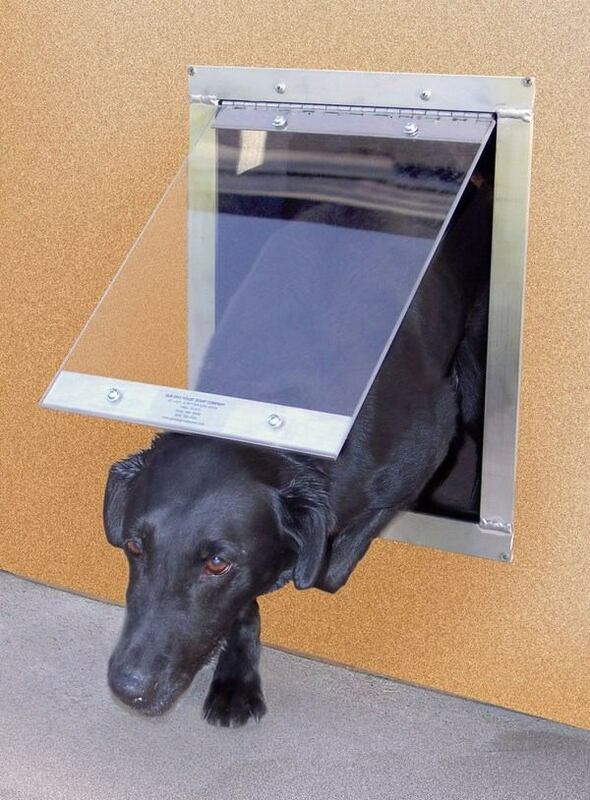 Electronic dog doors are activated by a control on the dog’s collar. 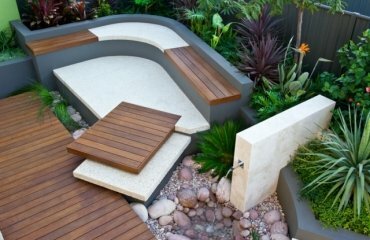 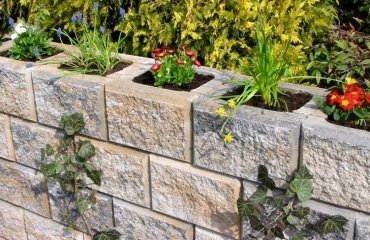 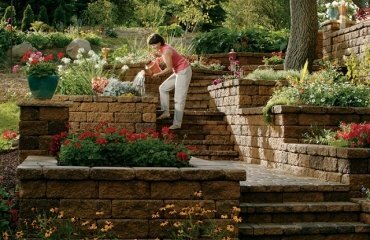 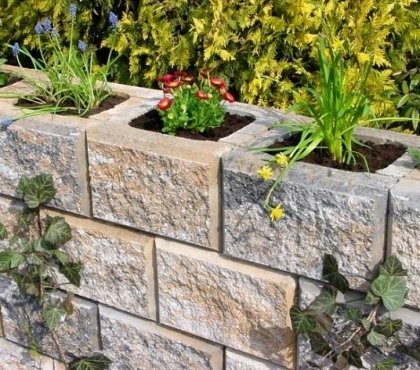 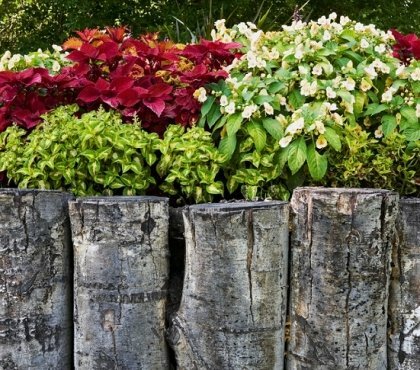 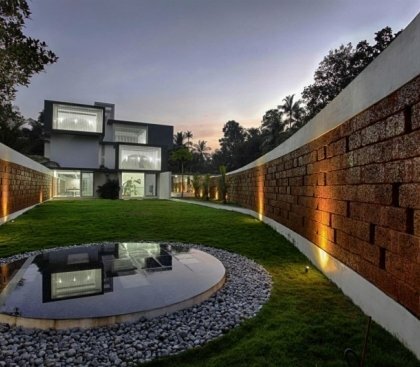 They are considered as the safest option as it prevents unwanted pests, and even intruders, from gaining access into the home. 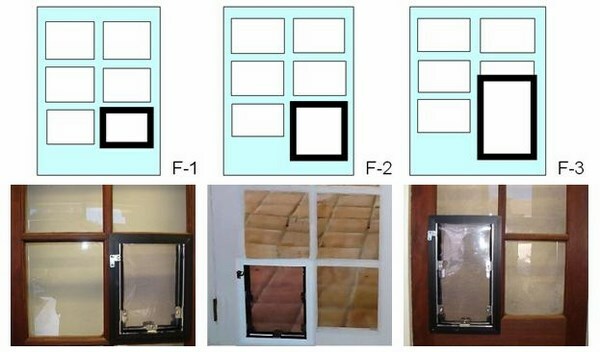 The material of the fog door is also very important. 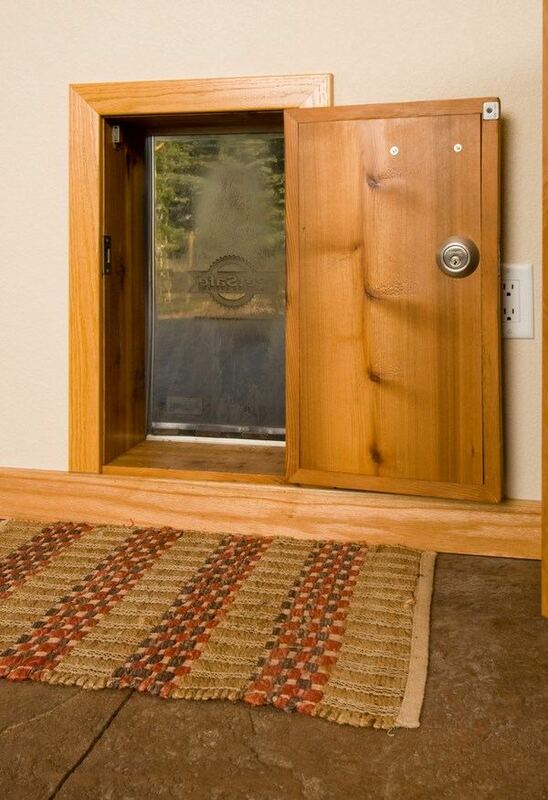 Some dogs like to chew so you need a bite-proof door. 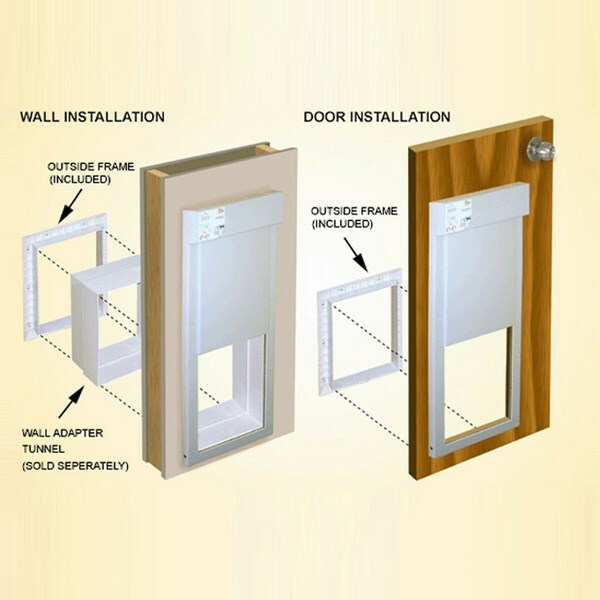 In addition the material of the pet door should be resistant to elements, temperature changes, etc.